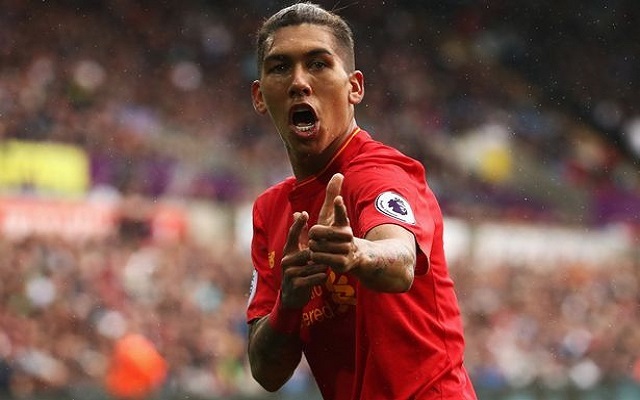 Editor's column: Firmino - unmarkable but remarkable! ATTENTION Premier League strikers: Roberto Firmino is better than you. Liverpool’s Brazilian is confusingly superb; his feet the only thing shining brighter than his teeth. His laid-back approach contradicting his devastating work-rate. His whacky social-media presence an oxymoron to his in-game intelligence. Bobby’s like one of those illusions in which you’re told to find the naked lady but at first can only see an elephant. Eventually your eyes find the lady and you can’t believe you ever recognised an elephant at all. But you weren’t looking properly. The lady’s always been there and Firmino’s always had the capacity for genius. Just some of the countless misjudgements fired at Firmino’s door. Like he does with the football, Bobby’s controlled them and moved into a better space. Midfielder? Striker? He’s both and neither. He’s Bobby Firmino. On Sunday evening following his side’s 6-1 obliteration of Watford, who’d kept three clean-sheets on the bounce, Jurgen Klopp performed the ritual hugging routine. Klopp saved Firmino, the fulcrum of his frenetic front-three, until last. The 24-year-old had earned a full 30-second squeeze from the man who perhaps admires his talent the most. To Liverpool’s manager, Bobby’s a combination of footballing hedonism and German efficiency. Now, we’re all joining in. Defenders can’t mark Firmino. There isn’t a system yet developed in world football which enables them to fill the positions ‘The Samba Kid‘ does. If they did, they’d be shot for desertion. In Germany, they refer to Thomas Muller’s unorthodox role as: Ramdeuter. It literally means ‘Space Investigator’ – a player whose position on the pitch changes constantly depending on the grass his team-mates and opponents occupy. Firmino has Muller’s cleverness, energy, defensive nastiness, powers of prediction, but also a large sprinkle of flair and aesthetic footballing beauty. Muller’s ruthless; Firmino’s ruthless – but Bobby comes back for the encore. On the ball, we drool. Firmino stops time in possession. His poise adds seconds to his moments, not that his touch requires a safety blanket. He already knows what he’s going to do before he’s collected it. Defenders find out afterwards. At walking speed, in the penalty area, he conjures assists and bags goals with at what first glance looks like minimum effort. It’s never an accident. Everything’s purposeful. Nothing’s rushed. Off the pitch, Firmino’s noisy, young, vibrant – but on it he combines this with an eery calmness. It’s deadpan brilliance. Take Sunday for example: you don’t know it’s happened until the 90 minutes are up and he’s got two assists and a goal. He’s Ray Hudson’s wet-dream: ‘magisterial’, ‘stupefying’. Unmarkable and remarkable in equal measure.